Shuva Malka (18), Migdal HaEmek resident and Raya Ulpana in Beit El graduate, was seriously injured in a stabbing attack last June in Afula. 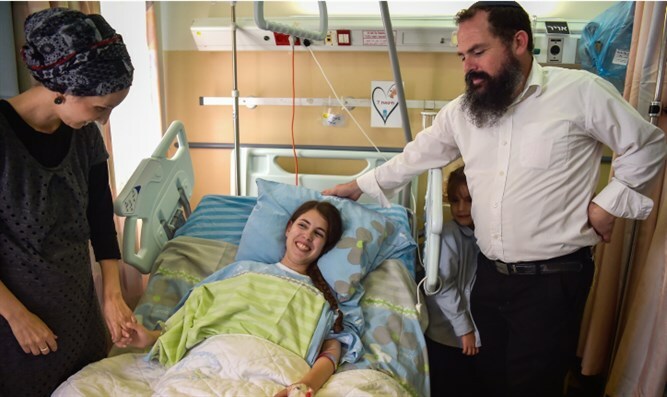 Malka and her family held a thanksgiving feast at the La Belle club in Jerusalem, with friends and relatives wishing to acknowledge and thank the Creator for the young woman's miracle. "Nothing is self-evident," says Malka in conversation with Arutz Sheva. "It's all so overwhelming. Sometimes there are difficulties, but we try to make that the exception, not the rule. It's exhilarating to understand that we received life as a gift, and to return to normal life slowly, to be with the family. "We wanted to thank Hashem in a dignified manner, to publicize the miracle," she explains, "Thank G-d the moment has arrived, much time has passed, I've almost come back to myself, and I hope every year we'll mark the day and the date with some honored feast so we won't forget life is a gift." 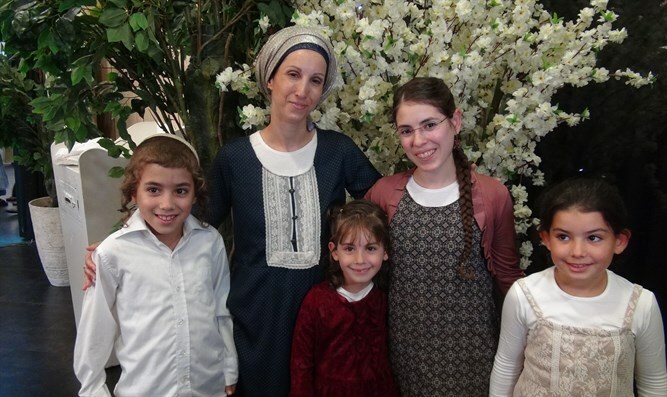 Malka was on her way to a matriculation exam when an Arab attacked her, stabbing her brutally. After a few days of hospitalization at Haemek Hospital, the young woman recovered and was released from hospital in good condition. The Muslim who stabbed Shuva nine times, a 20-year-old from Jenin, was charged with attempted terrorist murder and several other charges. He said he selected Shuva to be his target as she waited for a bus in Afula, because she seemed like "a settler". The Muslim, Nur a-Din Shinawi, escaped from the scene and was caught an hour after the attack. The Shin Bet investigation revealed Shinawi entered Israel in February 2018 while on a tour and remained in Israel without legal permits while working as a plasterer in the Upper Nazareth and Iksal areas. At some point he decided to carry out an attack in the State of Israel against a soldier or religious person, equipping himself with two knives. At the time of the incident, Shinawi noticed Shuva Malka, who appeared to him to have a religious Jewish appearance at the bus stop and decided this was the opportunity to carry out the attack he'd planned. He waited for the moment when she would be alone, came up behind her and stabbed her nine times in the upper body. After thinking he caused her death he fled the scene.